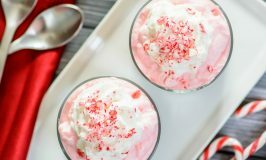 Christmas is a magical time of year no matter where you are, but if you happen to be in Orlando, or thinking about heading down there, you won’t want to miss these festive events that will fill you with Christmas cheer! Time-honored traditions come alive through the sights and sounds of the countries of World Showcase. 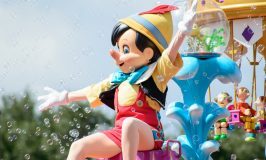 Whether it’s learning about the customs of Hanukkah and Kwanzaa or listening to the tales of characters like Père Noël in France and the kind-hearted witch La Befana in Italy, this event is a must-do every year. During select nights at the Magic Kingdom, Mickey and Minnie host the party of the year, and you’re invited! 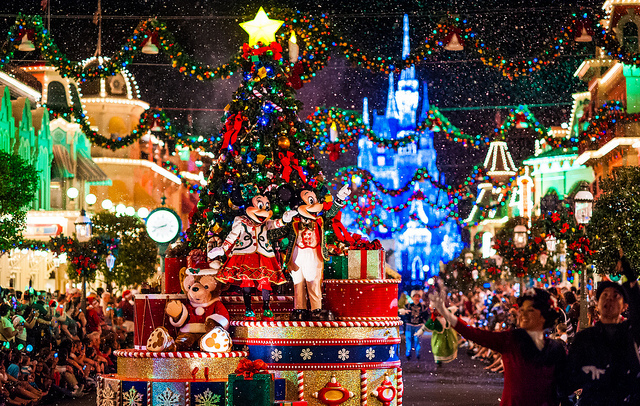 Spectacular shows, parades, special character meet and greets and more make this a can’t miss Christmas event. When the holiday season hits full swing, Universal’s Islands of Adventure transforms Seuss Landing area into the whimsical world of Grinchmas. Don’t miss the Who-liday spectacular and your chance to meet the Grinch face to face! 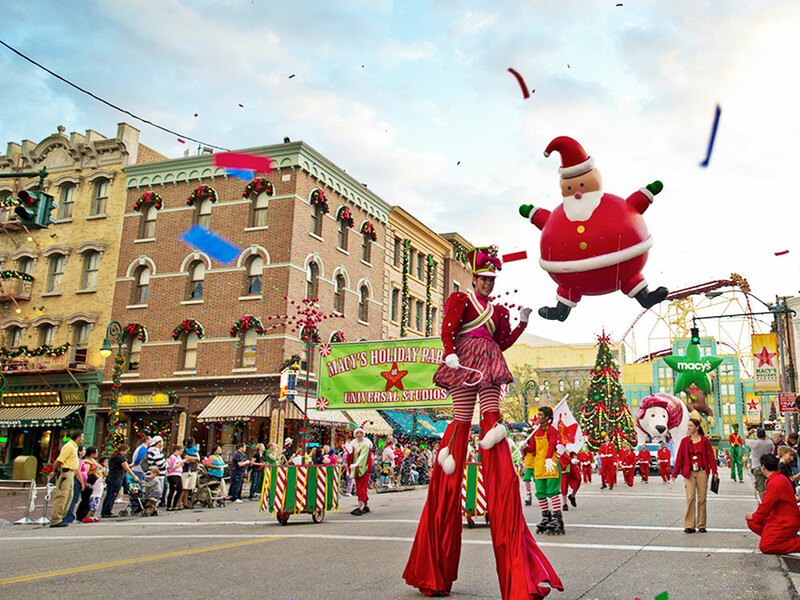 Did you know that once the legendary New York City Macy’s Thanksgiving Day parade ends, most of its breathtaking balloons and floats are sent straight to Universal Studios Florida for their very own holiday spectacular featuring marching bands, clowns, and an appearance by Santa himself! Afterwards, enjoy the spectacular tree lighting ceremony with music and a dazzling display of lights! Waves of holiday spirit splash over you during this exciting Christmas Celebration! Carols fill the air, a sparkling Sea of Trees lights up the water and skaters dance on ice. Here in this wintry, watery wonderland, you can enjoy stunning live shows inspired by the natural world. 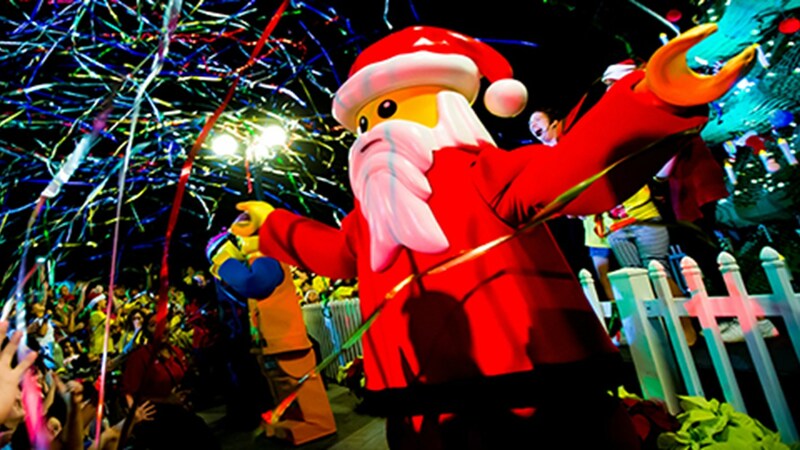 Bring in the holiday season with a 30-foot tall LEGO Christmas tree made of 270,000 LEGO bricks, life-size LEGO Santa, reindeer and sleigh, festive decorations, LEGO build activity, a LEGO Santa Scavenger Hunt and holiday entertainment. LEGO Santa and LEGO Toy Soldier make daily appearances in the Park providing a perfect family photo opportunity. See Ma in her kerchief, Pa in his cap and more as the classic holiday poem, ‘Twas the Night Before Christmas, is brought to life in TWO MILLION pounds of hand-carved ice sculptures, including two-story tall ice slides. This awe-inspiring experience concludes with the wonder and majesty of a full Nativity in stunning, crystal clear ice. Light Up UCF has become a holiday tradition, offering an 8,000 square foot outdoor ice skating rink, rides, and holiday attractions for an affordable price. And back again this year, it will be SNOWING every evening! Every holiday season, historic Winter Park hosts Winter in the Park, located at the corner of Morse and New York avenues in the Central Park West meadow. 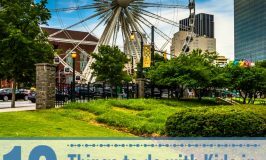 Locals and visitors alike can bundle up and pretend it’s below 70-degrees as they skate around the man made outdoor rink. Expect holiday music, games, carolers and more! 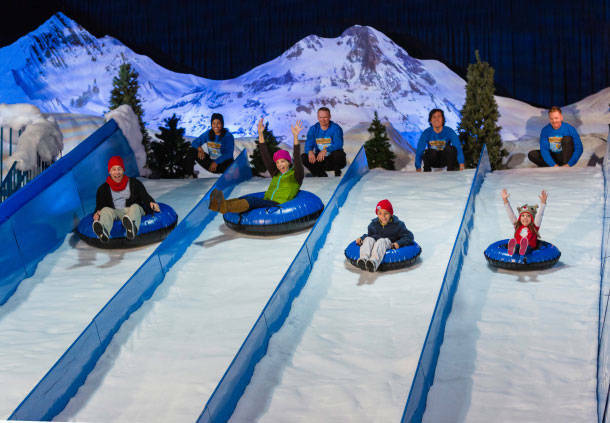 Central Florida’s original and premier “Snowing” event, offers a new snowfall program, an ice rink and a schedule filled with surprises. Now Snowing is a month long Winter Wonderland Spectacular featuring strolling Charles Dickens Carolers, community performers, photos with Santa, horse drawn carriage rides, the Celebration Express train, and nightly snowfall at 6:00, 7:00, 8:00 and 9:00 PM. This holiday season, travel to Santa’s Christmas Tree Forest in Eustis, Florida, where you can pick and cut your very own Christmas tree! Families will also love the onsite activities like a petting zoo, hayrides, photos with Santa and much more. Open daily from the day after Thanksgiving until December 22nd. Santa’s Winter Wonderland Village, held at Waterford Lakes Town Center in Orlando, Florida, is an annual winter festival celebrating Christmas and the holiday season. This event includes Santa’s Workshop, holiday foods and unique European amusement rides brilliantly decorated for the Christmas season. Open Thursdays, Fridays, Saturdays, and Sundays until school is out in December, then every day until January. Join us for a holiday tradition. 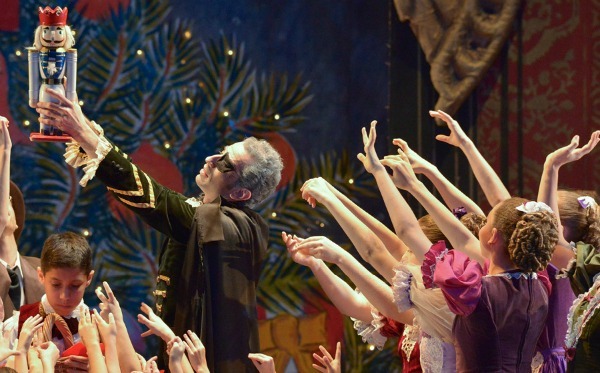 Orlando Ballet’s performance of The Nutcracker at the Dr. Phillips Center for the Performing Arts is a holiday tradition and brings Christmas to life. 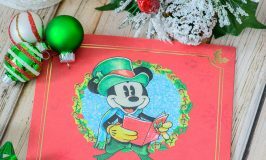 This enchanting holiday favorite is the full-length production and is accompanied by the Orlando Philharmonic Orchestra. When Clara receives a toy nutcracker from her godfather on Christmas Eve, she is transported on a magical journey complete with the Mouse King, Sugar Plum Fairy, and Mother Ginger. Select dates in December. An amazing interactive dinner show performed on the Pirates Dinner Adventure stage. Filled with action, romance, sword fighting, singing, and, of course, a ship full of laughs and Pirates, there’s sure to be something on board for everyone! 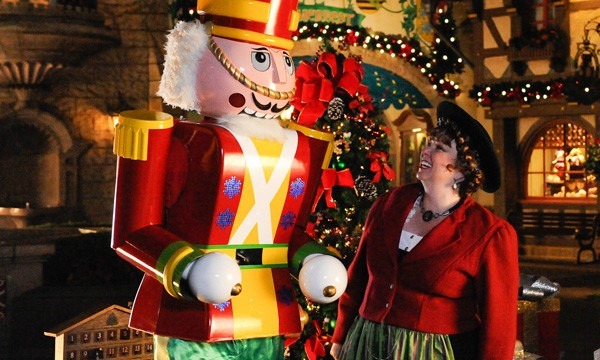 Come see the largest, private holiday display in Orlando! Voted one of the top displays by local event guides, this FREE event has a huge display with over 99 trees (including 53+ individually themed trees), thousands and thousands of lights, and huge fun for fans of Christmas! From its beginning over three decades ago, The Trees have become one of Central Florida’s most loved and spectacular traditions. 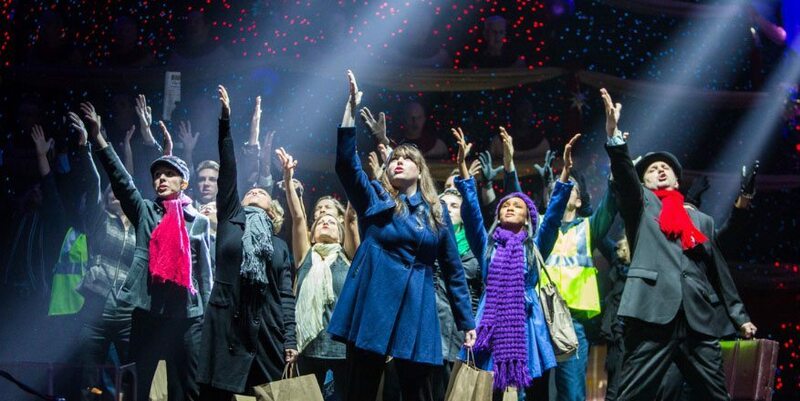 Featuring a huge choir, full orchestra, worshipful dance, powerful drama and a beautiful display of 250,000 lights, The Singing Christmas is an exciting presentation of Christmas classics and the pageantry of our two 40-foot-tall Christmas Trees. 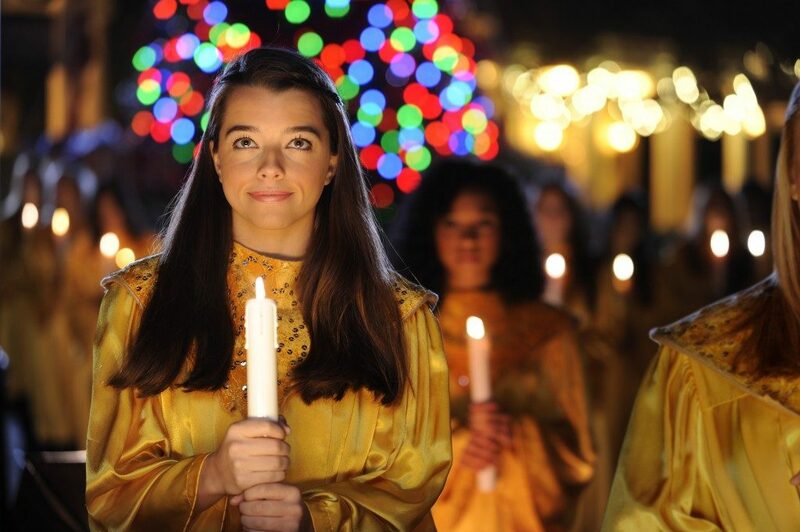 Celebrate the holidays against a backdrop of a million lights in beautiful downtown Mount Dora! 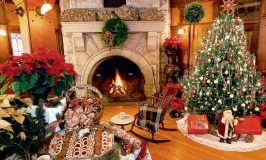 Mount Dora is host to numerous events and celebrations that will bring magic to your holiday season! 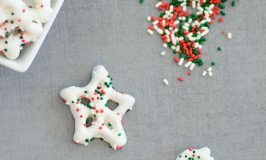 Jingle All the Way through the halls of the Orlando Museum of Art filled with extravagant, designer-decorated trees, breathtaking displays of wreaths and tabletop trees, gingerbread masterpieces and daily Christmas entertainment. Skip the snow and freezing temps and opt for spending the holiday’s in the warm temps of central Florida. Global Resort Homes is truly a home away from home experience where you can relax and spend family time for less than the cost of a fancy hotel. With 13 resort properties to choose from, you can easily find something to fit your budget and your lifestyle at Global Resort Homes. 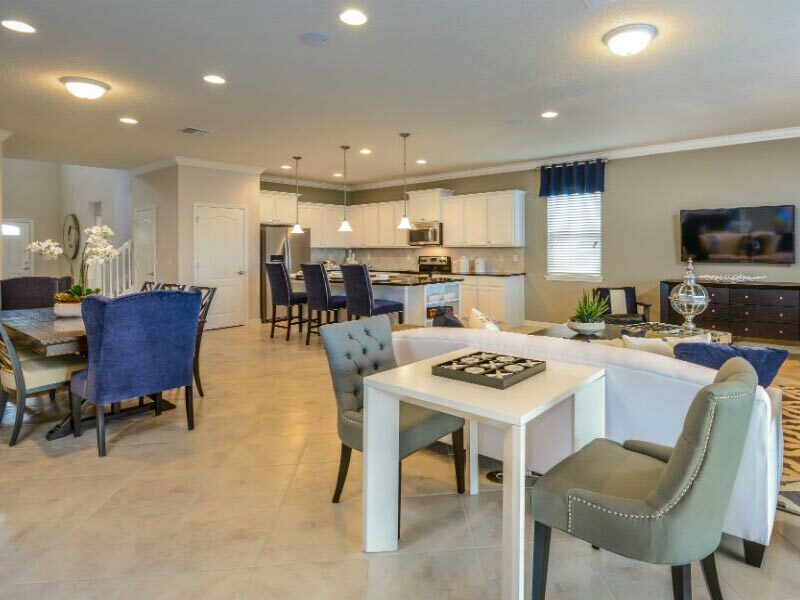 There really is no good reason not to make Global Resort Homes your home base while exploring all the Christmas festivities that Orlando has to offer. Happy traveling and Merry Christmas! !